Placecards attached to mini-basketball holds manila envelope with seating assignment inside. 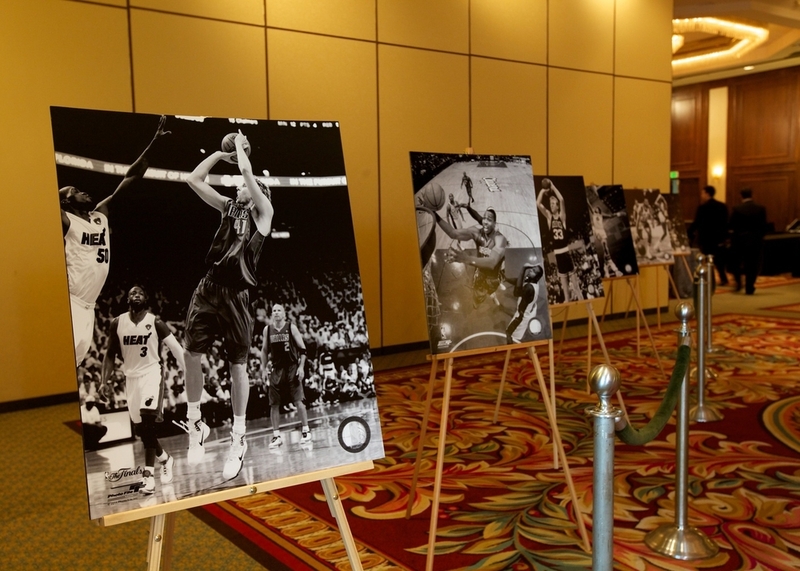 Entrance decorated with black and white photography of iconic players, resting on easels. 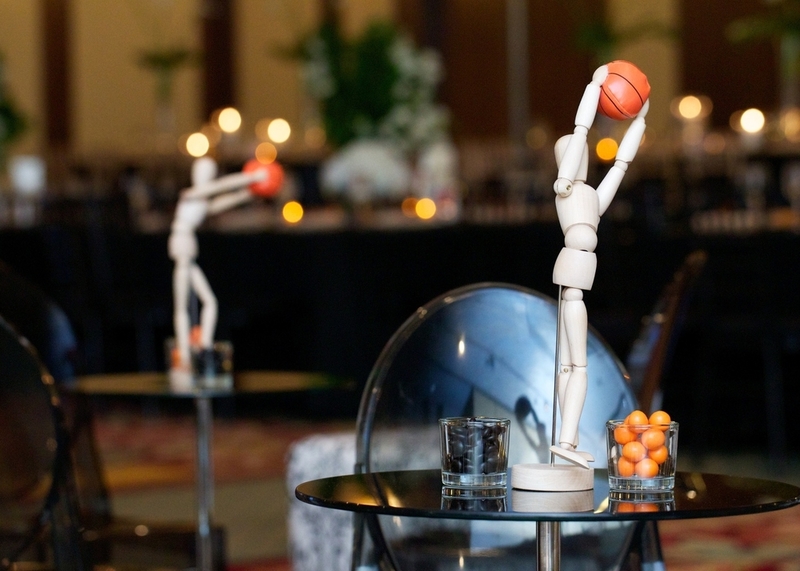 Wooden mannequins holding miniature basketballs surrounded by vessels of colored candies. A pairing of square and rectangular high tables were used create dimension throughout the ballroom. Kids tables (in back) lined with faux pig skin table coverings. Single stems of white calla lilies in oversized tapered vases adds a simple sophistication to the adult tables. Tables set with black shimmer linens and champagne colored crushed silk napkin. Havdalah Spice bags with menu cards featuring client's custom logo. Logo designed by artist/photographer, David Margolis in Stamford, CT.